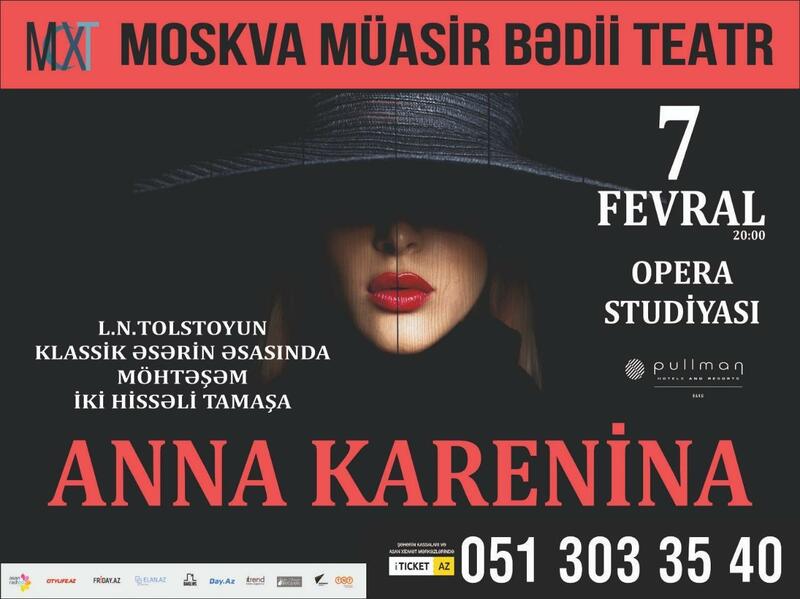 Anna Karenina play, based on the novel with the same name of Russian writer Leo Tolstoy will be staged in Baku. The opera will be presented at Baku Music Academy on February 7, Trend Life reported. Talented actors Ruslan Bankovsky, Dmitry Mazurov, Mikhail Pavlik, Peter Barancheyev and others will take part in the play. Anna Karenina a novel by the Russian author Leo Tolstoy, first published in book form in 1878. Many authors consider Anna Karenina the greatest work of literature ever written, and Tolstoy himself called it his first true novel. It was initially released in serial installments from 1873 to 1877 in the periodical The Russian Messenger. The novel is based on prejudice, stereotypes, internal conflict and the eternal desire to find happiness in this mortal world.